It’s the summer! This means BBQing, celebrating with friends, family and often fireworks. While fireworks may be fun to watch, many cats and dogs find it scary. Here are some tips on how to keep your pets safe and help them deal with fireworks. 1) Allow your pet to hide if they want to and if necessary give them access to a safe area they can easily retreat to (e.g. under a piece of furniture or another room). 2) Make sure you pets cannot escape outside while the fireworks are going off and try to avoid taking your dog outside when you expect the fireworks to begin (it is also a good idea to ensure your pet is microchipped or tattooed just in case they do manage to run off). 3) Never punish or fuss excessively over your pet for reacting to fireworks as this can worsen the behavior. 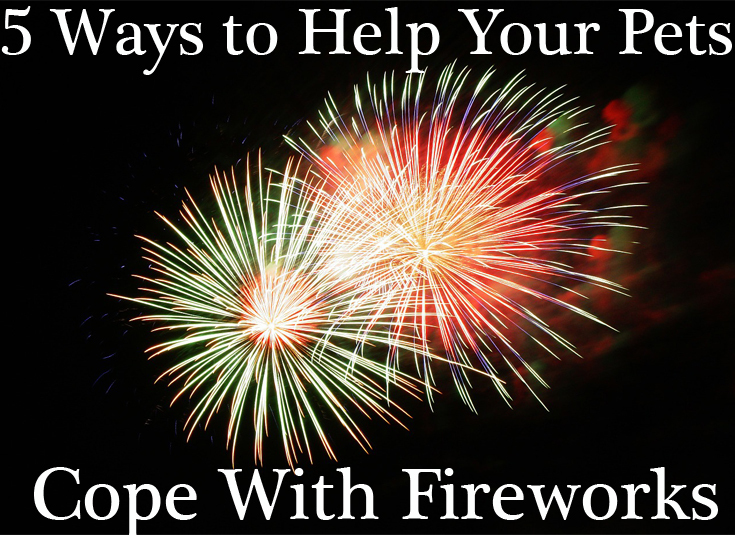 4) You might want to consider playing music to help drown out the fireworks. Classical music has been shown to be an effective stress reducer in dogs. Closing the curtains can also help to muffle the sound and flashes from the fireworks. 5) If possible, feed your dog prior to the fireworks. Many dogs won’t eat when they are stressed and anxious. This entry was posted in Dog Behavior, Health and tagged cats, dogs, fireworks, safety, tips.